Helmed by Ruqxana Vasanwala, Cookery Magic is recommended by the Singapore Tourism Board and is featured on Lonely Planet book and CNA. With over 500 dishes taught here you'll be spoiled for choice. You can learn all the iconic Singapore favourites, Nonya cookings but also other Asian cuisines including Eurasian, Indian, Malay, Sri Lankan, Thai, Chinese, Indonesian. At Cookery Magic All classes are hands-on and all ingredients are provided. 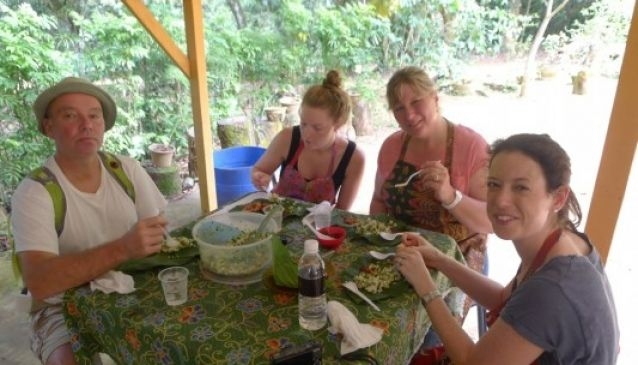 Ruqxana also offers special cooking classes such as the 'Cook Eat Run' one-hour cooking class for those with a tight schedule or a more adventurous 'Pulau Ubin Kampong Cooking Escapade' for those in search of a complete Kampong style immersion.